Barrancabermeja, Columbia, September 23, 2018, Every once in a while, an idea comes along that can impact mankind for generations to come. 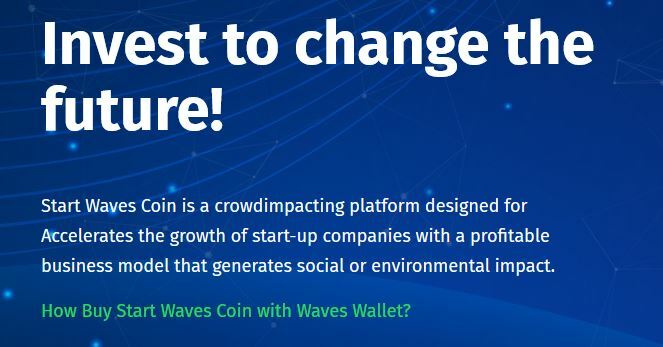 A new ICO called Start Waves, has launched their ICO Pre-Sale and has sent shock waves throughout the social and environmental sectors. For the first time, citizens of the world will be able to invest in startups that are committed to making social and environmental improvements to our society on a global scale. The trepidation felt by potential investors in these sectors will be alleviated by using the Start Waves Platform.